Dreading what to pack in your hand luggage? Problem solved! These are my Top 5 picks for your hand luggage. Get ready for the sun to kiss your skin, the beaches to wash away the stress and the sea salt to give you that gorgeous beach waved hair. Off to the tropics you go, Have fun! Cover star of Issue 16 is Lydia Millen. It feature’s an exclusive interview with the luxury beauty and fashion YouTuber, as she speaks about the acute abuse she faces online and the importance of authenticity. It’s a great read! 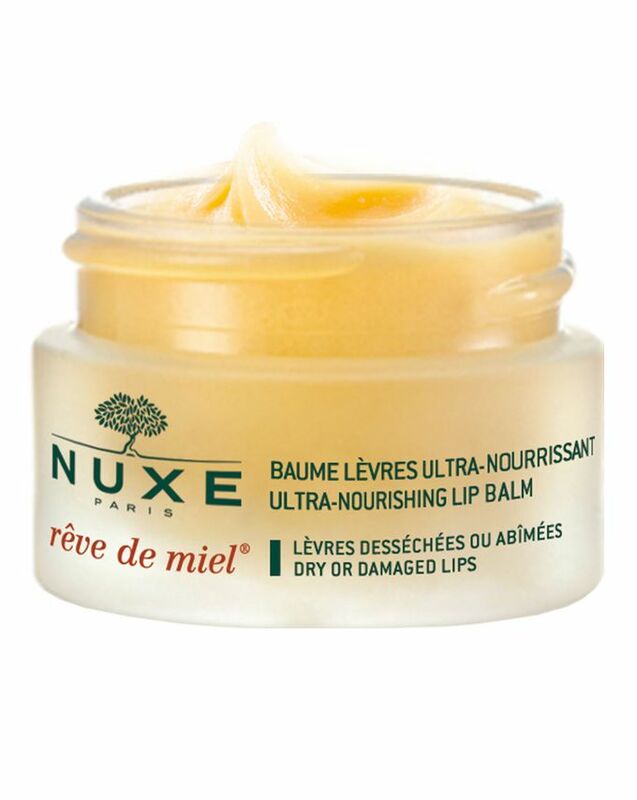 Nuxe Rêve de Miel Ultra-Nourishing Lip Balm. It is formulated with conditioning plant extracts, anti-bacterial Honey and nutritive Shea Butter to rehabilitate dry, chapped lips and maintain their optimal hydration levels. The perfect tool to fight dehydrated lips cause by cabin air. Statement shapes and luxe details are two key elements of Sartorial Eyeswear. A perfect contemporary frame that will add a dramatic touch to your vaction outfit. This unisex travel set is amazing for long-haul flights. It comes with socks, an eye mask and a big travel blanket. Oh did I forget to mention that it’s 100% cashmere! It’s the perfect traveller companion – Travel in comfort! Don’t suffer from terrible cabin noise! Get these instead – Bowers & Wilkins PX wireless headphones. With brillant sound quality, adaptive noise cancelling that’s optimised to the environment. The PX headphones offer an exceptional listening experience. And with a 22 hour battery life they’ll keep you immersed in premium quality audio for the long haul. Subscribe to Your Style Muse Newsletters.